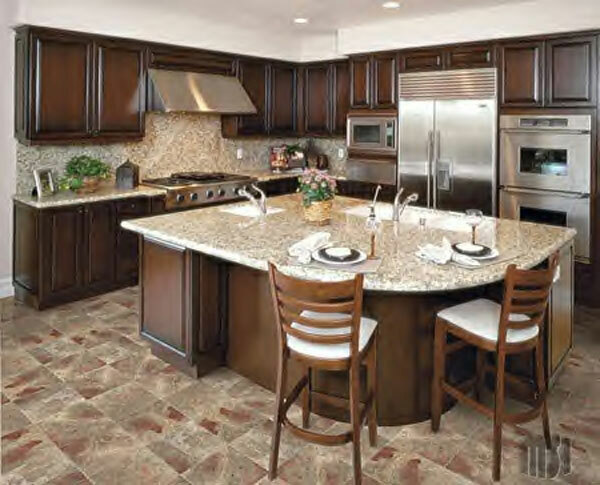 What’s your preference for your kitchen countertop? For our kitchen upgrade a couple of years ago, we had to consider a few things: price, appearance and functionality. We ended up choosing granite because we were familiar with its durability and look. The price fit our budget. Granite isn’t the best or the worst option. You have to decide what is important to you. There are many countertop options out there: bamboo, granite, paper, concrete, laminate, solid, soapstone, glass, marble, butcher block, stainless steel, tile, limestone and quartz. When selecting the surface that you like, you should always factor in the three things I mentioned before: price, appearance and functionality. I like to use my kitchen frequently, so resistance to heat was very important to me. We knew that granite can stand up to hot pots. Our original laminate countertops seemed to do ok, but they would stain over time. Concrete takes the heat, but the sealant can’t. Another factor we thought about was using knives. Someone didn’t use a cutting board when slicing bread on our laminate which caused beautiful scratches on the surface. If for some reason we are out of cutting boards now, the granite can take the beating. A stainless steel option will show scratches and fingerprints too. If you’re ever curious about the best option or prices, refer to Consumer Reports. Their website offers excellent advice and provides answers to most of your questions. Visit www.consumerreports.org.